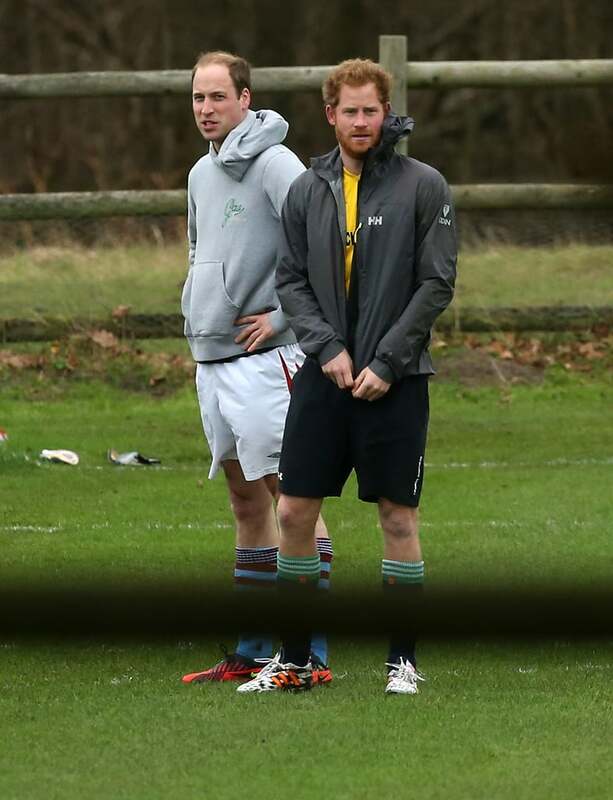 Prince William and Prince Harry showed off their competitive sides when they played in the annual Sandringham Football Match in King's Lynn, England, on Christmas Eve. 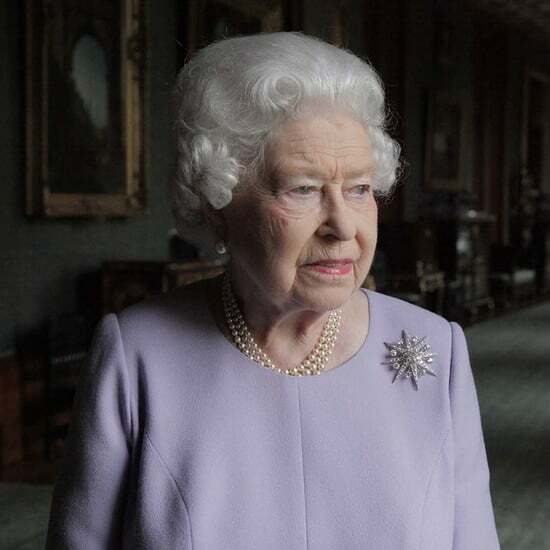 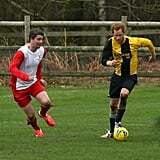 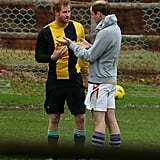 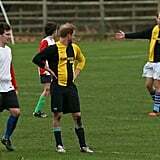 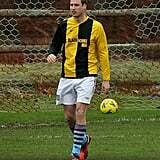 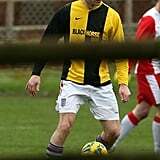 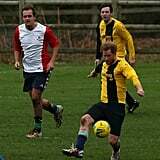 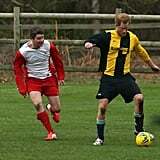 Playing soccer together over the holidays has become a tradition for the royal pair, who donned black-and-yellow jerseys reading, "Blackhorse Inn," as they teamed up on the field alongside workers from the Sandringham Estate. 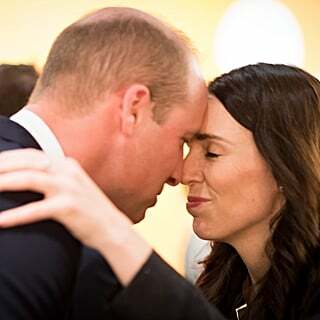 Harry might have had an upper hand since he got so much practice playing during his official tour of South Africa in November, but it looked like Will totally held his own. 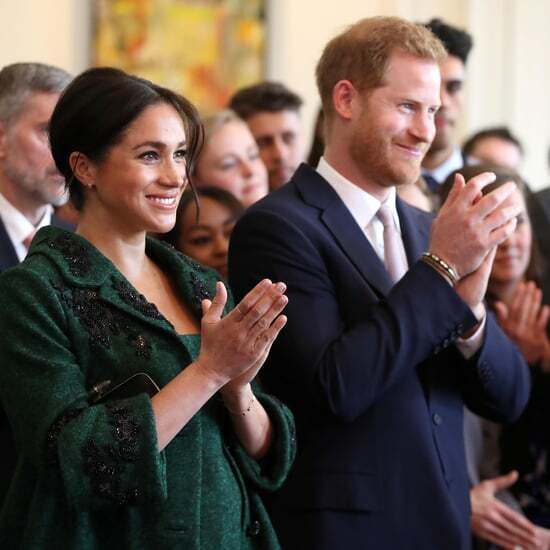 Between church services, afternoon tea, and a lively gift-opening ceremony, the soccer game is just one of many festive traditions that the royal family holds dear. 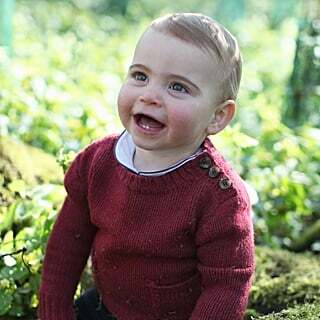 Take a look at their heartwarming Christmas moments from over the years, and see what they have in store for Princess Charlotte's first Yuletide.